Autumn is probably the greatest season for the glutton. The weather turns cold, the clothes get more comfortable, the air gets crisp and you suddenly feel like eating something warm and cozy! 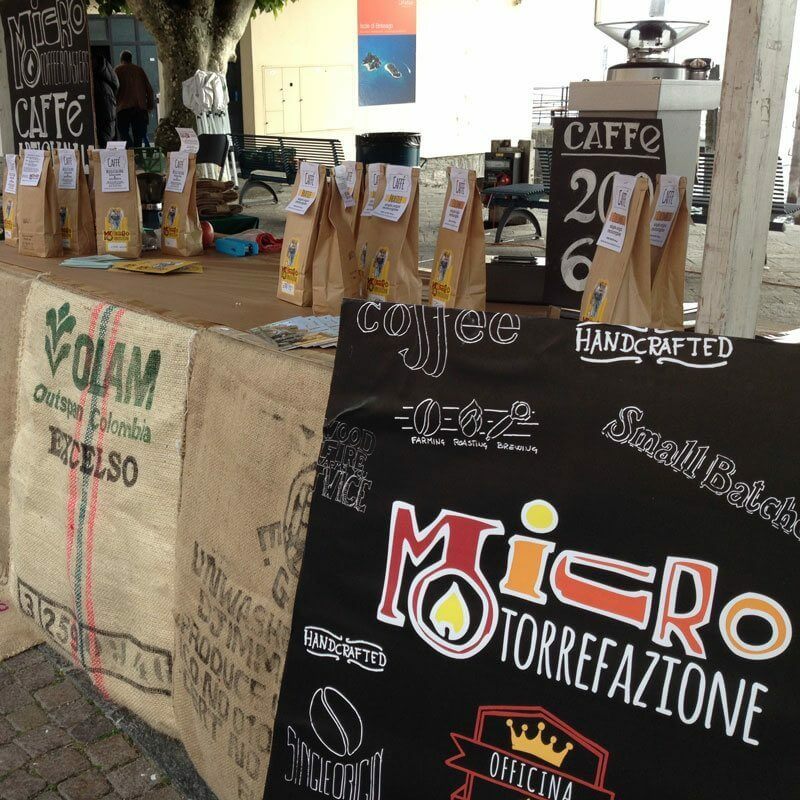 Then, the name changes to acquire different name: Autumn Festival, Harvest Festival, San Martino Festival and of course, the great Chestnut Festival in Ascona. Crafts, parades and chestnuts - lots of chestnuts! 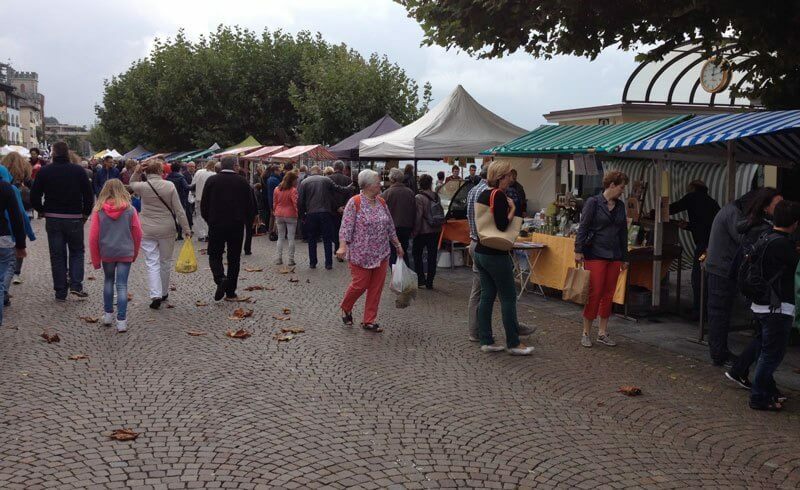 If you can visit only one of the markets, my advice is that you go to Ascona first. This town by the lake has the most romantic setting with a nice promenade. The stalls are lined along the lake so you get to enjoy the scenery and the market in total relaxation. There is a huge selection of crafts goods, ranging from rustic woolen socks to amber jewelry, hand made wooden utensils, vintage toys, clothing, and so on. There are food stalls of every kind, offering seasonal and local selections. We tried honey, liquor and cured meat, and we fell in love with coffee. How can you not love delicious steaming craft coffee on a fall morning? Finally, of course, do not forget the star of the show: The chestnut, or as we call it here, the marroni. 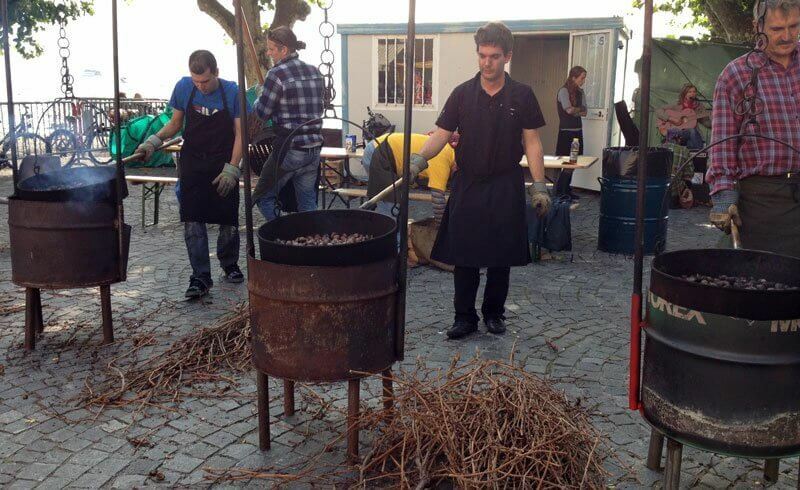 Just before serving, the chestnuts are roasted in huge pans set right on top of a roaring fire. The men appointed to chestnut-roasting are sweating and working hard to make sure that the chestnut have that wonderful smoky flavor. They keep stirring and stirring the gigantic pans. The smell of wood burning fire flows through the air, making your mouth water at the very instant you enter the market. 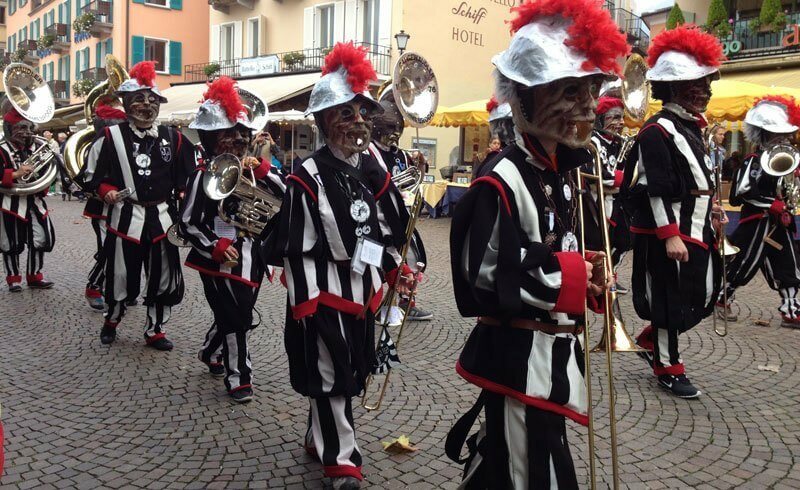 Other great things happen during the festival: A Guggen band starts marching up and down, dressed in weird masks and playing cheerful music. 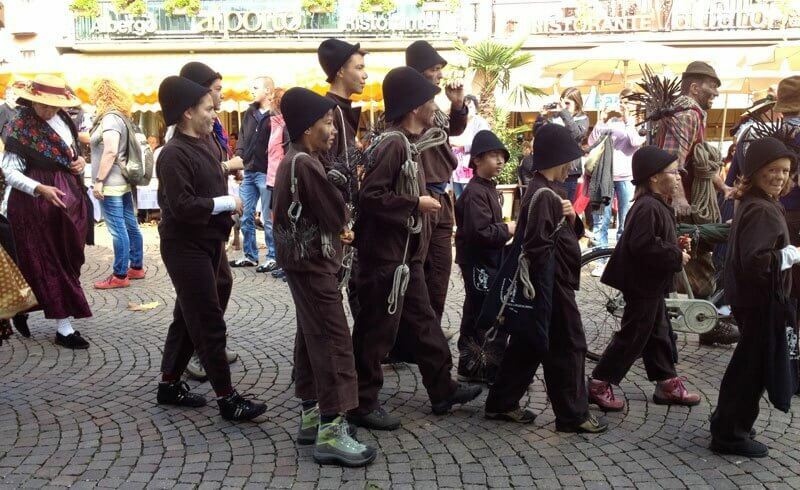 Then, a group of kids and people dressed as chimney sweepers passes by, because the Guggen masks were not weird enough! 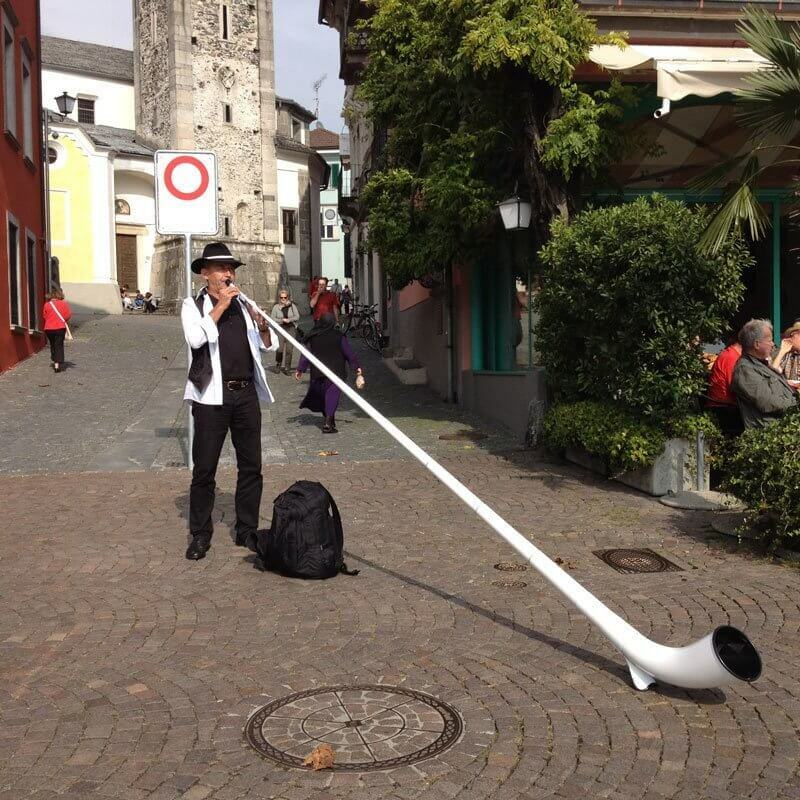 There is a guy playing the Swiss Alphorn. And, of course, later on a Big Band gets on the stage and starts jazzing up some tunes. The sun is warm, the air is crisp and autumn has just started. You get your bag of hard earned marroni and take your first bite. As It is tradition, you will then make a wish for the upcoming season.